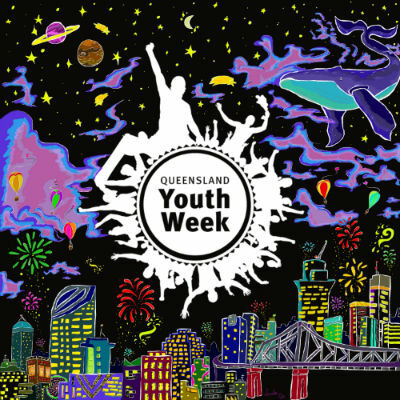 Check out the fantastic Queensland Youth Week artwork for 2019! In December 2018, young people were asked to create a vibrant and dynamic backdrop that reflects this year's theme 'Unlimited' to be used to promote Queensland Youth Week 2019. We were amazed by the response from young people in Queensland who submitted their artwork for this year's competition. More than 50 entries were received from talented young people right across the state. We're thrilled to announce that the winning artwork is 'Destiny Unlimited' which was designed by Scully Sommai (17) of Merrimac. Scully told us that the competition inspired her to create a galactic image reflecting the unlimited expanse of space. 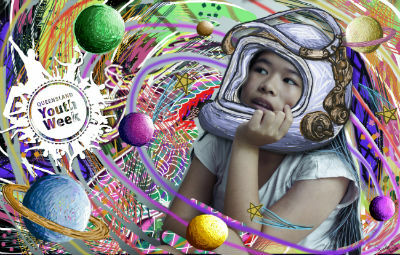 The stars and planets orbit around an image of my sister in a spacesuit. In that very instant, she is thinking about her future and the emotions this thinking space creates. My image shows her happy energy as you can see in the pops of bright coloured stars and planets in orbit. Just like space, our journey in life is a cycle with no restrictions. Scully is about to begin her Bachelor of Environmental Science and a Bachelor of Data Science. As the winner, Scully will receive a $500 Mastercard gift card and a Sony digital camera worth $499. Congratulations Scully! Two runners-up each receive a $100 JB Hi-Fi voucher. Congratulations to both Emma and Linden and a HUGE thank you to all the young people who entered this year's competition. You certainly made the selection very difficult. Check out the gallery for entries to this year's competition where consent was received to display their work. 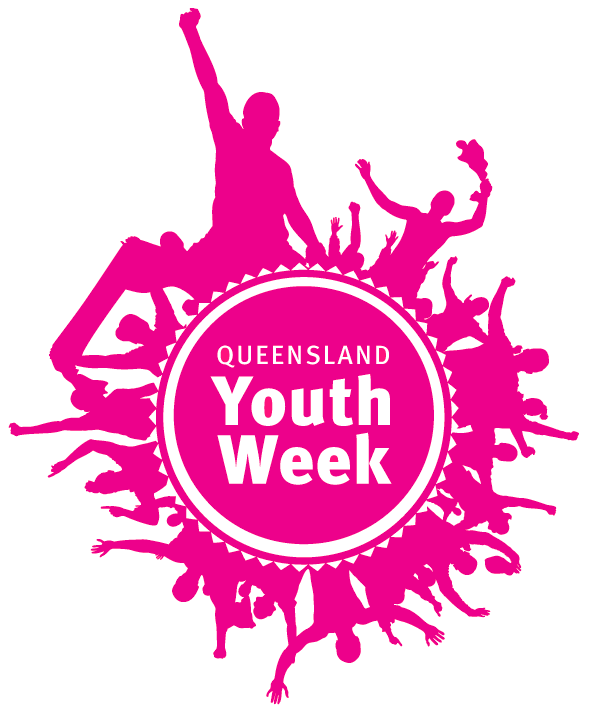 Visit the Queensland Youth Week website to download this year's promotional material and spread the message. 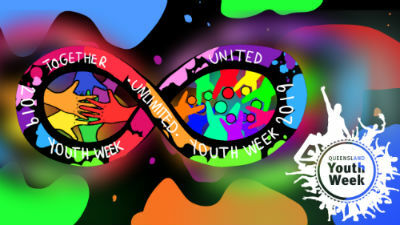 Queensland Youth Week will be held from 3 - 14 April 2019 with the theme 'Unlimited'. You can check out the events calendar and see what's happening in your community.